Students who receive special education services are much less likely to go to college after high school. But there are programs and strategies that can help them earn a two- or four-year degree. Here’s a surprising statistic: In 2016, only about 22 percent of students who received special education services when they graduated from Washington’s high schools enrolled in college one year later. Yet most special-needs students have an average or above-average IQ. At Education Lab, we are answering reader questions about special education for the latest round of its Interesting Questions series. We fielded an inquiry from parent Jennifer Long (no relation) about special education and how to get her daughter from high school to college. She’s worried about her daughter’s prospects, and she’s right to be worried. Not only do only 22 percent enroll in college, but the same state survey showed that about 28 percent were doing nothing a year after high school — they’d either dropped out of college, or failed to find or keep employment, said Cinda Johnson, an associate professor of special education at Seattle University. Johnson is also the principal investigator of the Center for Change in Transition Services, in which she studies the transition from high school to post-high for young people with disabilities. Just because your child has the designation of receiving “special education” — a term that encompasses a wide range of programs and classroom arrangements in public schools — doesn’t mean college is out of reach. Students who receive special education services and have an Individualized Education Program (IEP) may have one or more of a slew of diagnoses, including dyslexia, other learning disabilities, autism, deafness and physical disabilities. And there are programs after high school that can meet their needs. 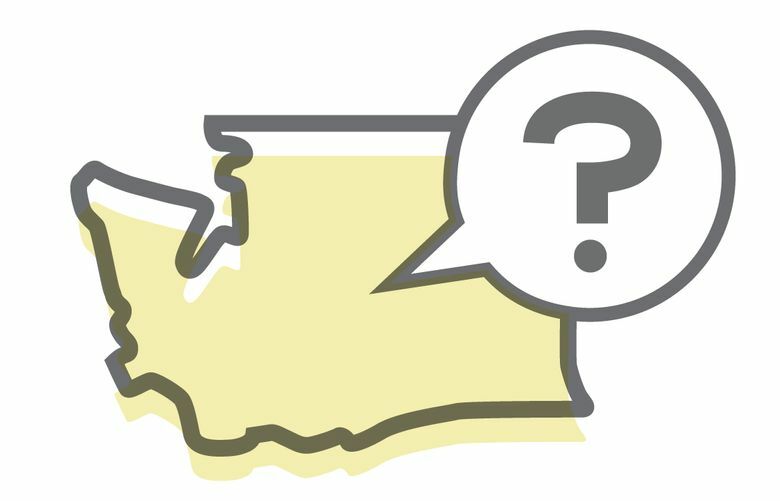 It’s important to know that Washington’s public high schools only award diplomas — there is no certificate or alternative to a diploma that is awarded to special education students. There is, however, an alternative assessment for special education students, which might be where the confusion lies. If your child can’t take the state tests, the state-approved alternate assessments still allow your child to earn a state high school diploma. Your child will also need to earn the minimum number of credits to graduate, and complete a High School and Beyond plan. A high school transcript does not indicate whether a student has received special education services, said Nathan Olson, spokesman for the state Superintendent of Public Instruction (OSPI). The only way a college would know this is if the student told the college about it, he said. However, all of the state’s four-year institutions require students to complete certain courses in order to be admitted to college, including two years of a world language and three years of math through intermediate algebra. Most also require SAT or ACT scores. And some of those college-prep classes may be beyond the reach of a student in special education. For example, a student with dyslexia may have a hard time completing two years of a foreign language, even if he or she has an above-average IQ. Students with severe intellectual disabilities may find the required math and science out of reach. But even if these requirements are hard to meet, there are other options. If your child hasn’t completed the necessary college-prep coursework or taken the SAT or ACT, or if that work is beyond their capacity at this time, one route is to start at a state community college. All 34 of Washington’s community and technical colleges are “open admission,” meaning they accept all students who apply. Some colleges don’t even ask for a high school transcript, instead using assessments to measure a student’s English and math skills, and placing the student in classes based on the results of that assessment. Students who aren’t yet ready for college-level courses are enrolled in pre-college, or remedial, classes. A community college degree can open doors to a four-year college. This fall, the University of Washington expects to admit 1,500 transfer students, mostly from Washington community colleges. But community college can also be an end in and of itself. Many community college certification programs build on each other, leading to degrees that can result in a job with a good wage, said Seattle University’s Johnson. There are also community college programs aimed at students who have specific disabilities that might make it hard for them to earn a four-year bachelor’s degree. Bellevue College offers four programs: Autism Spectrum Navigators, Occupational & Life Skills, Basic and Transitional Studies and a disability resource center. Bellevue’s Occupational & Life Skills program helps adults with learning disabilities. The program helps students find and develop career pathways, learn workforce skills, grow interpersonal skills and build friendships. “When we go through a student’s application we are primarily focusing on a student’s abilities, rather than their disabilities,” said Donna Hudson, the associate dean of the program. The Occupational & Life Skills curriculum, as its name implies, also teaches life and work skills, helping students practice their independence. Students earn an associate degree rather than a certificate, which usually leads to a better-paying job. Highline College offers a program called ACHIEVE, a comprehensive postsecondary transition program for students with intellectual disabilities. The school says it’s been a model for other such programs in the nation. One of its recent graduates, Devon Adelman, won a gold medal in stand-up paddleboard during the recent Special Olympics Games. In thinking about the steps to college for a special-education student, parents should understand the difference between how disabilities are treated in K-12 schools, and how they’re treated in college. An education through 12th grade is considered a right in this country, regardless of a student’s academic or physical limitations, and there are federal laws to ensure that right. Schools must accommodate a student’s disability, including giving each one access to the general curriculum and extra time to complete assignments. All of that changes after high school. There’s no federal right to a college education. Colleges do not create Individualized Education Programs for students. They are not required to make fundamental alterations to the curriculum to accommodate a student. Regardless of a student’s disability, he or she is expected to turn in assignments on time, and do the same amount of work as other students. Once a student turns 18 and enters the higher education system, parents are no longer able to participate in meetings with faculty unless the student gives permission for them to do so. Federal law gives college students the right to privacy regarding their education records. Finally, you may be wondering what you can do now — while your child is years away from graduating — to make college a possibility. Johnson said the most important thing for parents to do is to be good advocates for their child through middle and high school, a time when parental involvement tends to trail off. It’s also crucial to teach your son or daughter how to become their own advocate. “Make sure their child attends IEP meetings in middle school and really learns how to ask for the accommodations they have the right to, and that the courses they’re taking are interesting, and prepare them for life after high school,” Johnson said. She added that parents should also be closely involved in creating a transition plan for their child after graduation.